Paul Pogba celebrates scoring in Manchester United's 3-0 win at Fulham on Saturday. The Frenchman will hope to continue his fine form against Paris Saint-Germain on Tuesday. The resumption of the Champions League on Tuesday pits one of Europe's traditional financial powerhouses, Manchester United, against nouveau-riche Paris Saint-Germain, with both sides hoping to finally reap some reward on the biggest stage following record levels of investment. Despite splashing hundreds of millions of dollars on new players since taking over in 2011, PSG's Qatari owners have not been able to buy success in the competition they crave the most with four successive quarterfinal exits between 2013 and 2016 the furthest it has progressed. Barcelona and Real Madrid have ended the French champion's dreams in the last 16 in each of the past two seasons. Once again at the same stage, PSG faces a club that rakes in more revenue than it can, thanks to United's commercial power and the riches of the Premier League's TV contracts. But, unlike the two Spanish giants who have used their financial muscle to win seven of the last 10 Champions League titles between them, three-time champion United has made even less of an impression than PSG since making three finals in four years between 2008 and 2011. Both clubs can be accused of being too focused on big names in the transfer market - acquiring stars that secure lucrative commercial deals rather than striking the right balance on the field. Such mistakes tend to become magnified in the latter stages of the Champions League. Hitting form and finding fortune at the right time is also key - as PSG has found to its cost in the case of the world's most expensive player, Neymar. The Brazilian will miss both legs of the United tie due to a metatarsal injury in his right foot, the same problem that forced him to miss the second leg of PSG's defeat to Madrid last year. Should Thomas Tuchel's men not make it past a United rejuvenated under caretaker boss Ole Gunnar Solskjaer, Neymar, the man signed to lead PSG to Champions League glory, will have played one knockout game in two years since his $252 million move from Barcelona. Uniting Neymar in a stellar forward line alongside Kylian Mbappe and Edinson Cavani has also left PSG short-handed in other areas due to UEFA's financial fair play restrictions, particularly in central midfield. United has made similar mistakes in the six years since legendary manager Alex Ferguson retired. Only now, under a former pupil of the Scot in Solskjaer, are the Red Devils returning to the attacking principles that once made them a dominant force in Europe. Angel Di Maria's return to Old Trafford as a PSG player is a reminder of his one underwhelming season for United after joining for a then British-record $78 million. Romelu Lukaku and Alexis Sanchez have failed to make a sustained impact despite big-money moves and have fallen behind homegrown talent Marcus Rashford in Solskjaer's pecking order. 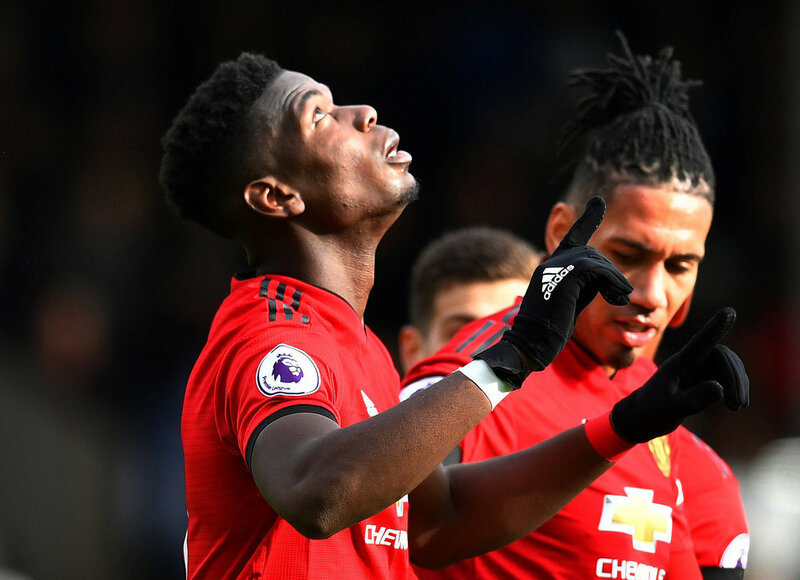 And even French superstar Paul Pogba has only begun to deliver on his $115 million fee in the two months since Solskjaer took charge after a long-running feud with previous boss Jose Mourinho. United and PSG are not alone in funding the arms race to Champions League glory. Juventus spent $127 million on a 33-year-old Cristiano Ronaldo in July to take it one step further after reaching the final in 2015 and 2017, when Ronaldo scored twice in a 4-1 win for Real. The Portuguese returns to the Spanish capital in the last 16, but at Atletico Madrid, which has also stretched itself financially to keep hold of Antoine Griezmann in the hope of winning the competition for the first time at its own Wanda Metropolitano Stadium in June. Liverpool became Real's latest victims in the last season's final and faces its own blockbuster tie against Bayern Munich. Real, which takes on Ajax, and Barca, which faces Lyon, will be confident of making the last eight for the ninth and 12th consecutive year respectively. But it is Premier League champion Manchester City which is the competition favorite thanks to a favorable draw against Schalke as it seeks to finally turn domestic success into a maiden Champions League crown.